We have hired The Tabernacle, a Grade II listed building in Powis Square, Notting Hill, London, on the Easter Monday. 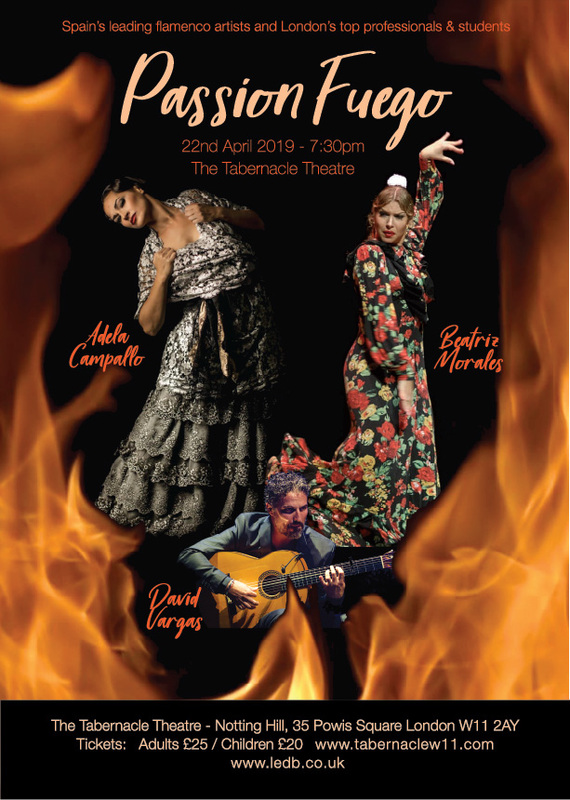 Here we will host an amazing evening of flamenco with professionals Adela Campallo, Beatriz Morales, David Vargas, Tito Heredia, Jasmine Villalobos and Demi Garcia. The first half of the show, is a student show!!! All dance schools participating in the Easter Course are invited to produce a piece to showcase their school, giving their students the opportunity to perform on a London stage with the support of the professional artists and musicians. In addition to this, all students who complete a Bulerías choreography and/or a Bata de Cola choreography during the course will be able to perform it in the show. Please contact info@ledb.co.uk if you would like to participate. 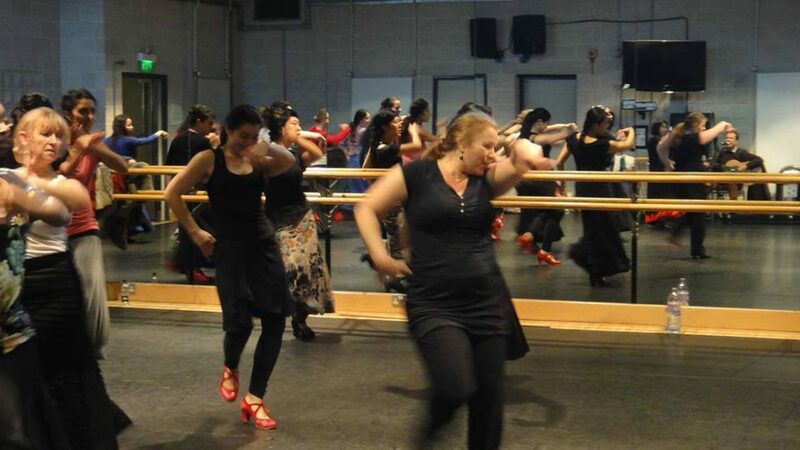 We would also like to send a special invitation to the Spanish Dance Society teachers to come and join us on this course and showcase some of the work achieved by their students. Congratulations also to the USA Spanish dance society for winning the Fidelio Music Award for their contribution to the artistic life in Washington DC. Escuela de Baile has a series showcasing their students and local professionals at this wonderful tapas bar in the heart of Camden. No entrance fee. Starts at 8pm. ***Escuela de Baile students get 25% off their food! Simply book a table on their website and add the code Flamenco25 to the reservation. Lourdes is one of the most inspirational dancers full of passion and energy. 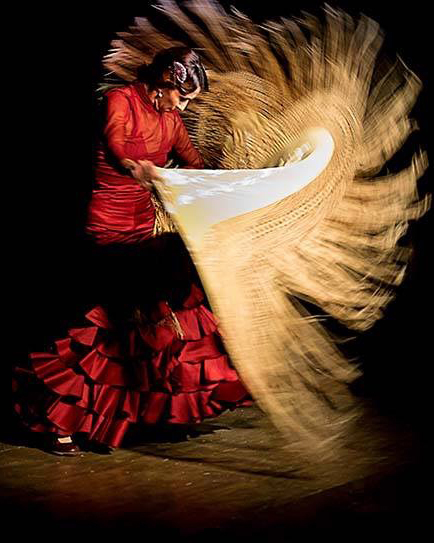 She has worked all over the world inspiring audiences and bringing the life and love of flamenco to everyone. A very inspirational dancer, full of flamenco passion and fire. Mel always leaves her audience full of energy and inspiration. Born in Cartagena (Murcia), Araceli has studied classical ballet and contemporary dance as well as Flamenco. Her experience working as a choreographer, dance teacher and dancer for a variety of companies across the UK has helped her develop her stagecraft and interaction with audiences. 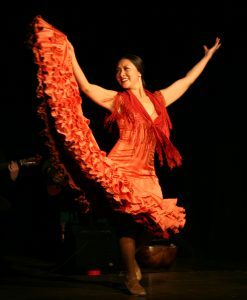 Get yourself down to Bar Gansa this Sunday and have an authentic flamenco evening with great tapas too!!! Nanako is a Japanese-Canadian flamenco dancer, instructor, and choreographer based in London. 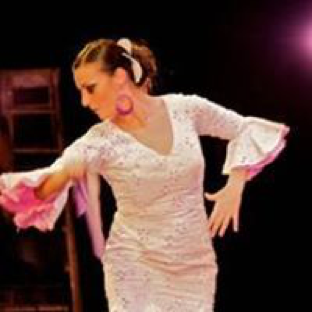 She is part of the Flamenco Rosario Dance Company in Canada and has several groups that she performs with in Germany and the UK. Her dance career thus far has led her to teach in Canada, Germany, England, Scotland, Denmark and Kenya, and perform on four continents.